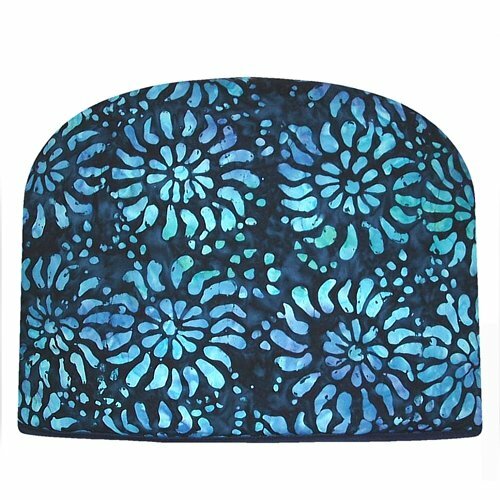 Batik Blue Tea Cozy is elegant, bright and cheerful, with a stylish Batik pattern in blues with a blue lining. Large Teapot Cozy covers 2 Cup, 4 Cup, or 6 Cup Teapot - measured from inside 9 1/2 " H x 12" L x 7 W. Made in the USA. 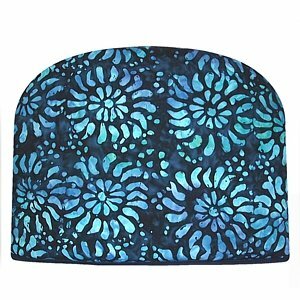 100% cotton - quilted item polyester filled. Contains more insulation than most available tea cozies.